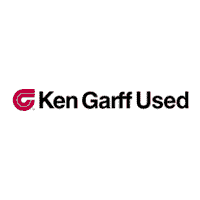 At Ken Garff Used in West Valley City, our highly qualified technicians are here to provide exceptional service in a timely manner. From oil changes to transmission replacements, we are dedicated to maintaining top tier customer service, for both new and pre-owned car buyers! Allow our staff to demonstrate our commitment to excellence. You can schedule your service online with one of our Service Advisors. Our service technicians have years of experience with each specific car make and model, and our prices are affordable for everyone. Take advantage of our service center and make sure your vehicle is being taken care of.